Overseen by the South African National Energy Development Institute (SANEDI) and partially supported by the Solar Thermal Demonstration and Training Initiative (SOLTRAIN), two bungalows at a South African National Defence Force (SANDF) base in Limpopo will be upgraded with solar water heating (SWH) systems. 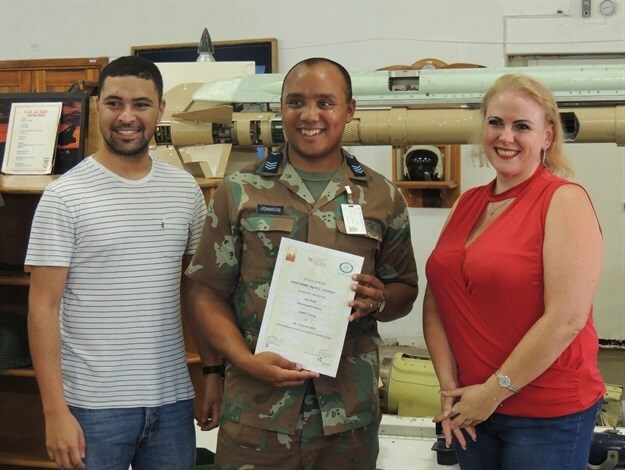 Certificate handover for top achievers of the programme: Angelo Buckley, reesearcher CRSES, University of Stellenbosch; Sgt Byron Johnson, plumber, SANDF; and Dr Karen Surridge, RECORD centre manager, SANEDI. 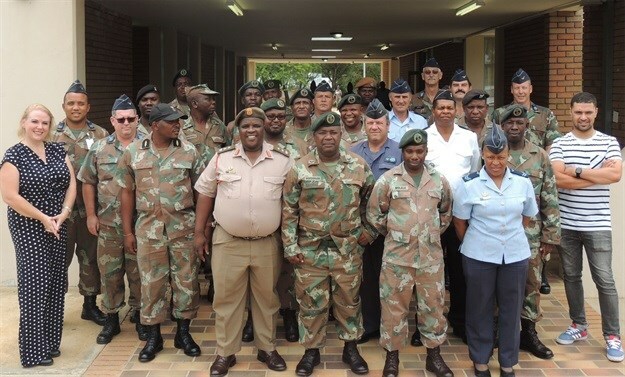 The systems will reduce the use of electricity and/or backup diesel, where these bungalows have defunct hot water geysers, and enable the SANDF to offer housing with functional hot water supplies for its members. A small-scale pumped system pilot project will entail the construction and operationalisation of two 1,500 litre SWH systems to provide hot water to two accommodation bungalows used to accommodate military medic members, approximately half of which are female. “This project is not only about the installation of renewably heated hot water, but also about the training of plumbers and artisans to such install solar water heating systems,” explains Dr Karen Surridge, manager of RECORD (Renewable Energy Centre of Research and Development) at SANEDI. “This is the first of several collaborative projects taking place between SANEDI and the DoD, after the signing of a five-year Memorandum of Agreement mid-2018. This project is partially supported through SOLTRAIN funding and being managed and implemented by SANEDI, thus cementing the interaction of SANEDI, the DoD and SOLTRAIN in the upcoming SOLTRAIN phase IV, commencing July 2019." SOLTRAIN is funded by the Austrian Development Agency and co-funded by the Opec Fund for International Development.